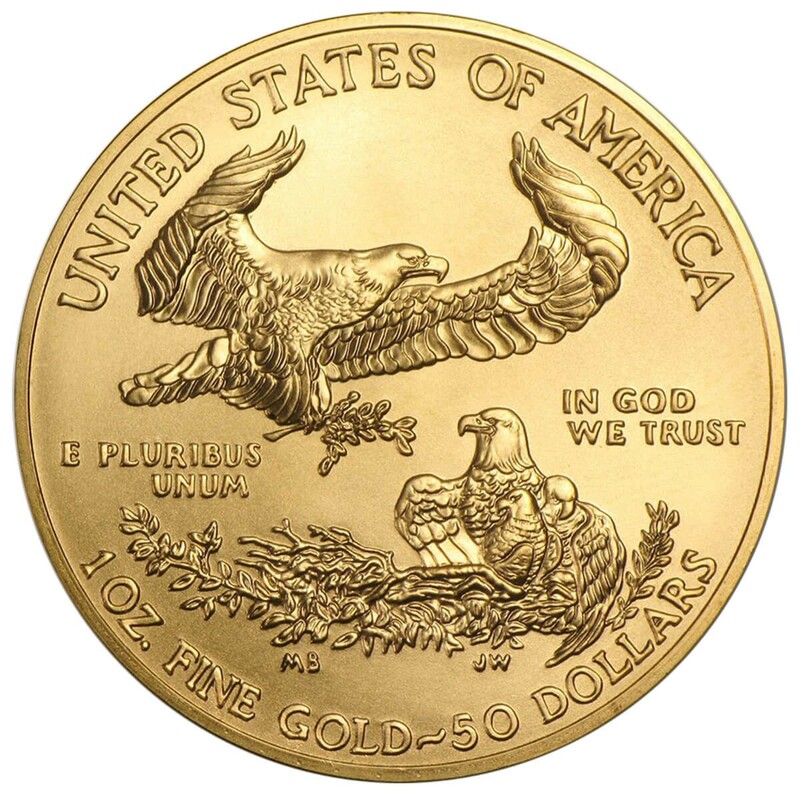 The 1 Ounce Gold Eagle is the premier gold bullion coin of the United States and the world. Since it’s inception by an act of Congress in 1986, it has been one of the most popular bullion coins in the world. 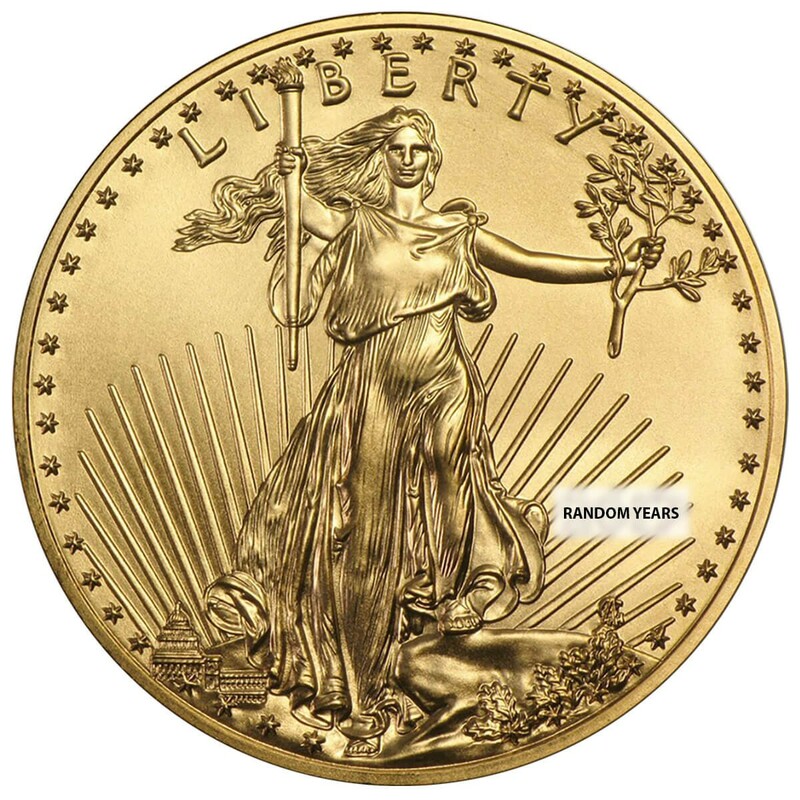 It is approximately the size of a 50¢ piece and showcases Saint-Gaudens’ timeless Lady Liberty, with the reverse showing the namesake Eagle, the coins troy weight, and nominal face value of $50. 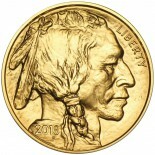 While containing a full troy Ounce of gold, the eagle weighs a bit more than a troy Ounce, as it is coined in the 1986 legislated gold alloy of 91.67% gold, with the remaining mix in silver and copper. This makes the gold stronger and less likely to scuff from mishandling. These coins will be minted between 1986 and the present.